Sundays in Utah are usually quiet. Many businesses close, and families spend the day attending church, enjoying the great outdoors, or communing over a family dinner. Not Sunday, September 17. The day opened with a report from the Salt Lake Tribune detailing the state of Utah’s proposed boundaries for Bears Ears (spoiler alert: state officials want to shrink the monument by 90 percent), and closed with the Washington Post reporting on a leaked copy of Interior Secretary Ryan Zinke’s draft final report on his “review” of 27 national monuments. In it, Zinke recommends shrinking several national monuments, including Bears Ears and Grand Staircase-Escalante. The results are shocking. Never before has an American presidential administration considered so drastically removing protections from our public lands. Going beyond undoing President Obama’s conservation legacy, the recommendations seek to redefine what national monuments mean under the law by opening them to what Secretary Zinke calls “traditional uses,” including mining, logging, and fossil fuel drilling. National monuments, designated by presidents under the Antiquities Act of 1906, are places where “historic landmarks, historic and prehistoric structures, and other objects of historic or scientific interest” are protected for future generations from precisely the kinds of uses Secretary Zinke recommends allowing. The law has survived for 111 years, proving its durable popularity. If the Trump administration wants to fundamentally alter the Antiquities Act to allow mining, commercial logging, and fossil fuel drilling, Congress, not the executive branch, must act to change the law. In his report, Zinke recommends shrinking several monuments, including Grand Staircase-Escalante, Bears Ears, and Gold Butte on the Colorado Plateau, as well as dramatically altering the way six other monuments are managed. The recommendations also propose creating a process to review and revise all national monument management plans to allow for mining, commercial logging, expanded livestock grazing, and oil and gas drilling. Through an open records request, the Salt Lake Tribune obtained maps detailing the state of Utah’s ideas for shrinking Bears Ears National Monument. The map, never shared with the Bears Ears Inter-Tribal Coalition (the formal body of five tribal governments that advocated for Bears Ears’ designation), and never released for public review, proposes shrinking Bears Ears National Monument by more than 90 percent — from 1.35 million acres down to 120,000 acres. Utah also proposes replacing part of Bears Ears National Monument with a national recreation area for the Indian Creek area adjacent to the Needles District of Canyonlands National Park, but Congress would have to designate that. And Indian Creek is more than just a place of recreation; it is home to diverse and fascinating rock art, cliff dwellings, ancient tool quarries, a historic Ute winter camp, and numerous sites of pilgrimage still used by Native Americans today. The state of Utah’s proposed map is outrageous. It would “unprotect” countless antiquities and objects of scientific interest including the oldest known archaeological sites in Utah — both a 13,000-year-old Clovis camp and the state’s oldest rock art site. It also leaves at risk thousands of other sites that the Antiquities Act was designed to protect: cliff dwellings, rock art, ancient roads, largely unexplored treasure troves of dinosaur bones, and ancient sites and landforms sacred to indigenous peoples. Utah’s proposed boundaries even leave the historic Mormon Hole-in-the-Rock Trail vulnerable to mineral development. Utah’s plans were made clear in 2015, when the Utah State Legislature passed non-binding legislation calling for fossil fuel and energy and mineral development in what is now Bears Ears National Monument, and, in 2017, called for the elimination of the monument entirely. These plans are out of step not only with the views of the majority of Utahns, but with the American public that owns these lands. Secretary Zinke’s leaked report, though presented as a “draft” document, is riddled with errors and inconsistencies. It also fails to detail specific boundary reductions for any of the monuments it recommends eviscerating, stating monument modifications “will be submitted separately.” The report underlines the hasty and fundamentally flawed nature of Zinke’s review process, which spared some monuments while targeting others without explanation or justification. Perhaps the most alarming content of the leaked report deals with the secretary’s seemingly warped view of what resources deserve protection as national monuments under the Antiquities Act. The report states: “While early monument designations focused more on geological formations, archaeological ruins, and areas of historic interest, a more recent and broad interpretation of what constitutes an ‘object of historic or scientific interest’ has been expanded to include landscape areas, biodiversity, and viewsheds.” Even if the monuments he proposes to shrink did not contain ample “geological formations, archaeological ruins, and areas of historic interest” (they do), to suggest that biodiversity is not an “object of scientific interest” is ludicrous. To divert attention from their unprecedented attack on protected public lands, Trump administration officials are practicing a bit of political spin, seeming to advocate for more durable Native American co-management while extoling the benefits monument evisceration could bring in terms of hunting and fishing access. In the leaked report, Secretary Zinke recommends asking Congress to act to “enable tribal co-management of designated areas within the revised [Bears Ears National Monument and other revised monuments’] boundaries.” Zinke is not only suggesting that only certain smaller areas within the reduced boundaries be co-managed (which would significantly reduce the scope of the tribes’ current authority under the existing Bears Ears proclamation), he’s also proposing what he must know is a path to nowhere. Recommending that a dysfunctional Congress replace existing collaborative management authority would effectively end Native American involvement in management at Bears Ears. The tribes spent years trying to engage the Utah congressional delegation on legislation for collaborative management and got nothing. Their sovereign authority, their concerns, and their sound recommendations were simply ignored. Following the leak of Secretary Zinke’s report, Deputy Interior Secretary David Bernhardt published an op-ed in the Salt Lake Tribune, saying: "…Secretary Zinke recently made recommendations to President Trump on 27 national monuments that call for changes to some that, while still protecting the land, would also protect and expand public access to that land for citizens who want to hunt, fish, hike, and experience the joy and beauty of these special places." Don’t be fooled. Despite the platitudes, Zinke’s recommendations are a thinly veiled attempt to set in motion the single most damaging attack on public lands in this nation’s history. We hear that the Trump administration is busily crafting new executive orders or proclamations to enact Secretary Zinke’s recommendations. Should executive action occur, litigation will immediately follow. The tribes, outdoor business interests, and conservationists, including the Grand Canyon Trust, are prepared to go to court to defend our national monuments. Most legal scholars believe that the Antiquities Act clearly provides the president a one-way authority to create national monuments, not to diminish them. That authority rests exclusively with Congress. Any attempt by President Trump to shrink our national monuments would represent a gross overreach of power. Make no mistake, this unfolding attack is serious, and the Grand Canyon Trust stands ready to litigate to defend Bears Ears and Grand Staircase-Escalante. While we await what may be devastating news for our national monuments in the coming days or weeks, opportunities for public action now are limited. National Monuments: Stay or Go? 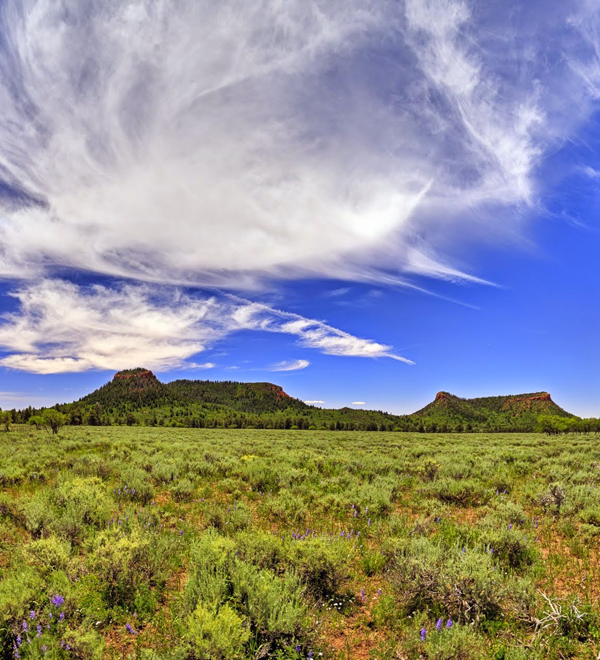 The public has only 15 days to comment on Bears Ears National Monument. Urge Secretary Ryan Zinke to recommend no changes to Bears Ears National Monument by the May 26, 2017 comment deadline. Our public lands should not be for sale. I want my grand children's grand children to be able to enjoy these precious lands.